Obligatory disclaimer: This Oktoberfest spice delivery was free in exchange for my review of Raw Spice Bar. I don’t review the same thing often, but when Raw Spice Bar asked again, I said “Sure!” right away because I really do believe in the benefit of what they’re offering for the foodies among us. 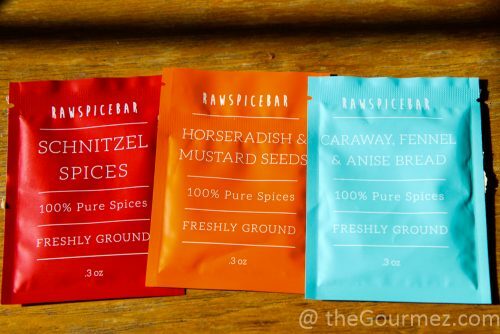 For those of you who didn’t read my review last year, Raw Spice Bar is a monthly spice delivery service. Odd concept? Not at all with how many people now have meal kits delivered on the regular at $8 or more per entrée. 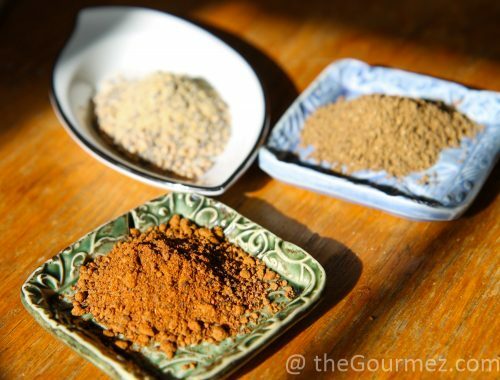 Raw Spice Bar costs the same amount for a monthly package of freshly roasted, toasted, and/or ground spices — three spice blends suitable for one or more meals, dependable on how large your family is. This spice delivery is for the chef who wants a little inspiration to get their creativity flowing, the one who enjoys the mystery of not knowing what the next shipment will bring, the one who smiles when opening the seal on a packet of fragrant spices that beat anything in a bottle or tin sold at the grocery store. This time around, I got to play with Raw Spice Bar’s Oktoberfest shipment — yes, I’m weighing in a few months late. But bear with me, because chicken schnitzel and pretzels are great any time of year: don’t let anyone tell you otherwise. Oh, did I forget to mention that the spice delivery includes recipes developed specifically to highlight that month’s cultural theme? 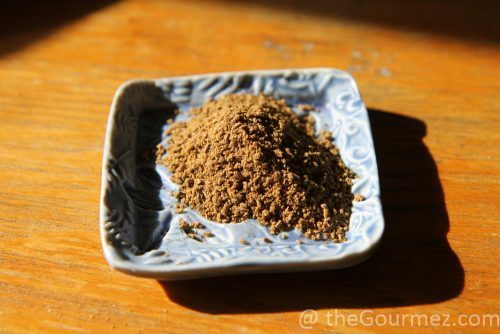 Hurry, and you’ll get in on May’s Burmese blends… but let’s travel on back in time to October. 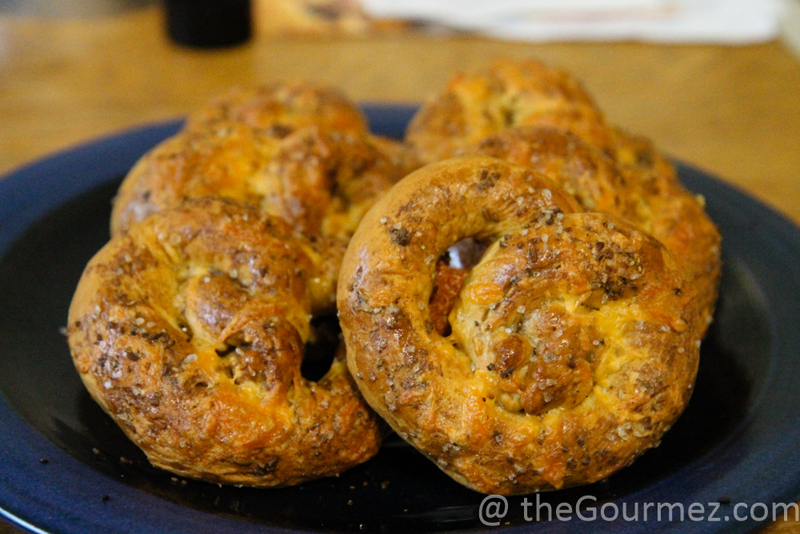 This was my first time making pretzels, and following the included recipe for caraway-cheese soft pretzels did take some guesswork, but I think I pulled it off pretty well! 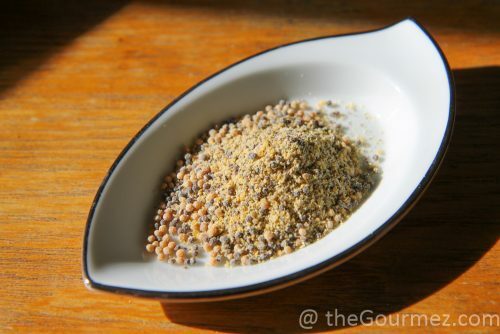 So, don’t tell Raw Spice Bar, but I don’t like mustard or horseradish, and a blend of brown and yellow mustard seeds and horseradish powder were the sole components in one of their Oktoberfest packets! If I were a regular customer, however, rather than someone sampling for review, I would never have that problem. Since my last review, Raw Spice Bar has added customization to their shipments; you can choose ingredients that you won’t eat, indicate your cuisine preferences, and even request vegan and gluten-free ingredients and recipes. — and discovered it was potentially mild enough for me to try out. 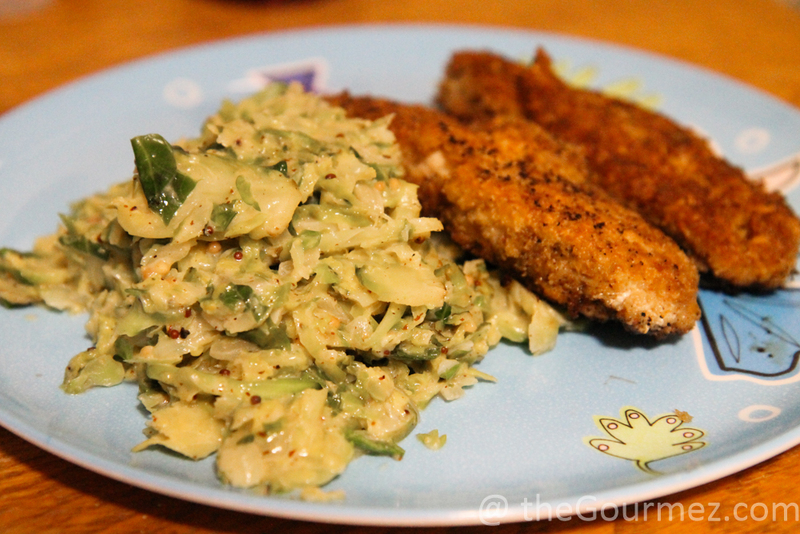 Yet rather than make the included recipe for mustard cabbage, I opted for a creamed brussels sprouts dish instead from the Quick Six Cookbook, thinking the cream would further dilute ingredients that I often find overpowering. And it worked! The heavy cream enveloped the mustard and horseradish beautifully. I was impressed! 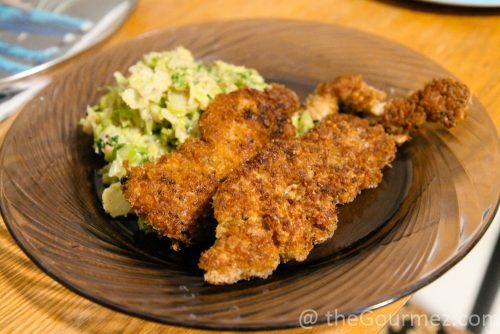 I was also impressed with the included chicken schnitzel recipe, because, for the first time ever . . . drumroll, please . . . the recipe called for the appropriate amount of flour to dip the chicken in! And it yielded a beautiful gold-red-brown crust. Seriously, folks, if you haven’t done a lot of meat-battering, you may not understand the annoyance when recipes call for at least twice as much flour as you need — and I swear they always do! All that extra flour gets tossed in the compost, and my annoyance grows. The called-for amount of bread crumbs was more than needed, but that was much closer to the right amount than I’m usually given as well. And the spice blend again yielded great flavor. I must give credit to my husband for calling out the Szechuan profile of the blend; with juniper berries, cayenne peppers, bay leaves, and black peppercorns, it reminded us strongly of the dry-fried hot wings we often get at Osmanthus in Oakland. The peppercorns tingled the tongue, and we loved it. So this may be a schnitzel blend with more kick than you’re used to, but that’s a plus in my book. More important than any particular blend or recipe sent by Raw Spice Bar, however, is the satisfaction I get from the experience, whether or not I follow a recipe to a T. The blends and recipes may constantly change, but the confidence in the quality and freshness of your spice delivery — a confidence you can truly taste, smell, and touch — remains the same. This is a foodie venture worth investing it. And for $7–$8 per shipment, why not? Sign up here. Edited 19 October 2017: Good news! Raw Spice Bar is now offering new quarterly subscriptions and a spice shop for customers! 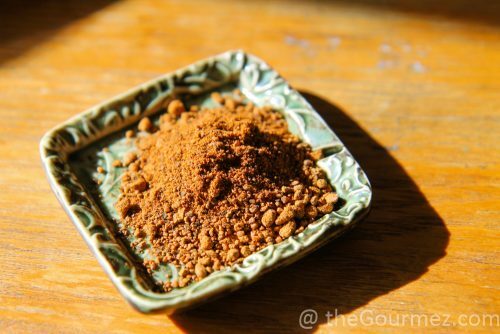 You can order their fresh, ground spices whenever you need some, not just as part of the themed kits – though I’d argue those are still fun anyhow. Recipes prepared the week of 20 February 2017.